What's the Most Absorbable Form of B12? 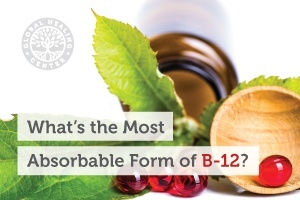 What’s the Most Absorbable Form of B-12? 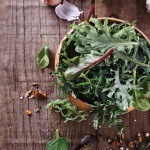 For most people, getting enough vitamin B-12 isn’t an issue. Processed foods are often fortified with cyanocobalamin, a synthetic form of the nutrient. 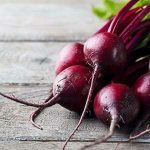 Still, many people are deficient in this vitamin because cyanocobalamin – and many other forms of B-12, for that matter – is not highly absorbable. Veganism, age, gastric surgery, gastrointestinal disorders, and pernicious anemia are all factors that can reduce B-12 absorption. In most cases, a B-12 supplement is needed to replenish stores. The two most popular B-12 supplements are cyanocobalamin and methylcobalamin. Which one should you choose? Here are some facts to help you decide. Vitamin B-12 is essential for DNA synthesis, brain and nervous system function, and red blood cell formation. It’s also essential for heart health as it aids in the breakdown of homocysteine, an amino acid associated with cardiovascular disease. Although required for proper metabolic function, the human body does not create this vitamin and must obtain it from dietary sources. The most common sources include fish, liver, beef, eggs, cheese, and poultry. Why is Methylcobalamin Absorbed the Best? Methylcobalamin and adenosylcobalamin are the two natural, active forms of vitamin B-12. Methylcobalamin specifically absorbs easily since it is the principal circulating form of B-12. As the circulating form, it can cross into the bloodstream sublingually; however, only about 1% of the ingested dose is absorbed. 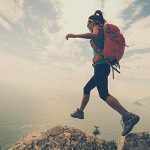 Methylcobalamin is the most bioavailable form, as this form requires little to no conversion and crosses easily through every aspect of B-12’s metabolic pathway. Does Methylcobalamin Promote Better Health? Methylcobalamin does not require a methyl group from the body for absorption, saving metabolic energy and cellular resources. The body uses methyl groups to stabilize free radicals and remove toxins, so it is crucial that we’re doing all we can to preserve these groups. Methylation also plays a role in protecting the brain. Methyl groups reduce the impact of dietary glutamate, a non-essential protein known to cause neural damage. So, using methylcobalamin allows the body to retain its ever-so-important methyl groups for toxin removal and health support. Vitamin B-12 is essential for life. For anyone who needs to supplement with B-12, methylcobalamin offers a highly-efficient option. 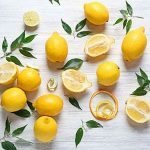 The fact that it adds methyl groups and encourages proper methylation may be ideal for many who may already be suffering from symptoms of B-12 deficiency. The European Food Safety Authority reports that the combination of methylcobalamin and adenosylcobalamin is the best and safest representation of naturally occurring vitamin B-12. Consider taking a supplement like VeganSafe™ B-12 (which has 80% methylcobalamin and 20% adenosylcobalamin). Have you used methylcobalamin or adenosylcobalamin? Please share how it has affected your life. Quadros EV. Advances in the understanding of cobalamin assimilation and metabolism. Br J Haematol. 2010 Jan;148(2):195-204. doi: 10.1111/j.1365-2141.2009.07937.x. Spence JD. B vitamin therapy for homocysteine: renal function and vitamin B12 determine cardiovascular outcomes. Clin Chem Lab Med. 2013 Mar 1;51(3):633-7. doi: 10.1515/cclm-2012-0465. Takahashi K1, Okawa M, Matsumoto M, et al. Double-blind test on the efficacy of methylcobalamin on sleep-wake rhythm disorders. Psychiatry Clin Neurosci. 1999 Apr;53(2):211-3.